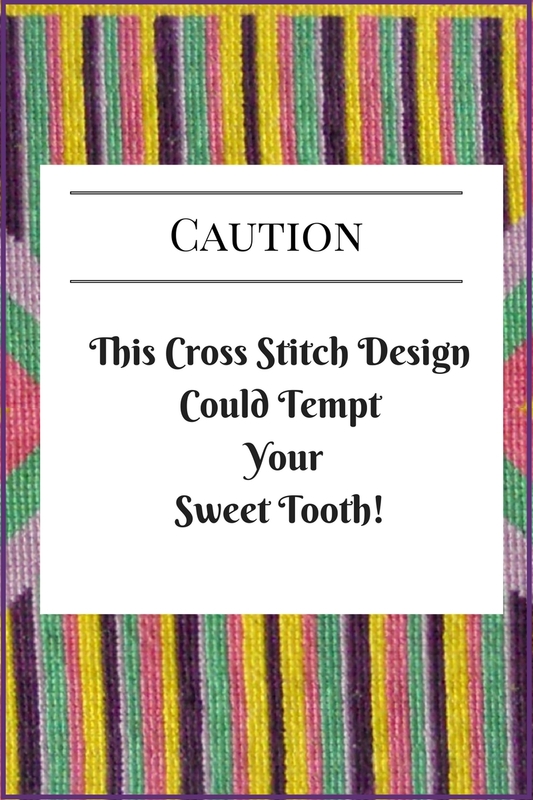 You are probably wondering how in the world a cross stitch pattern could tempt your sweet tooth. 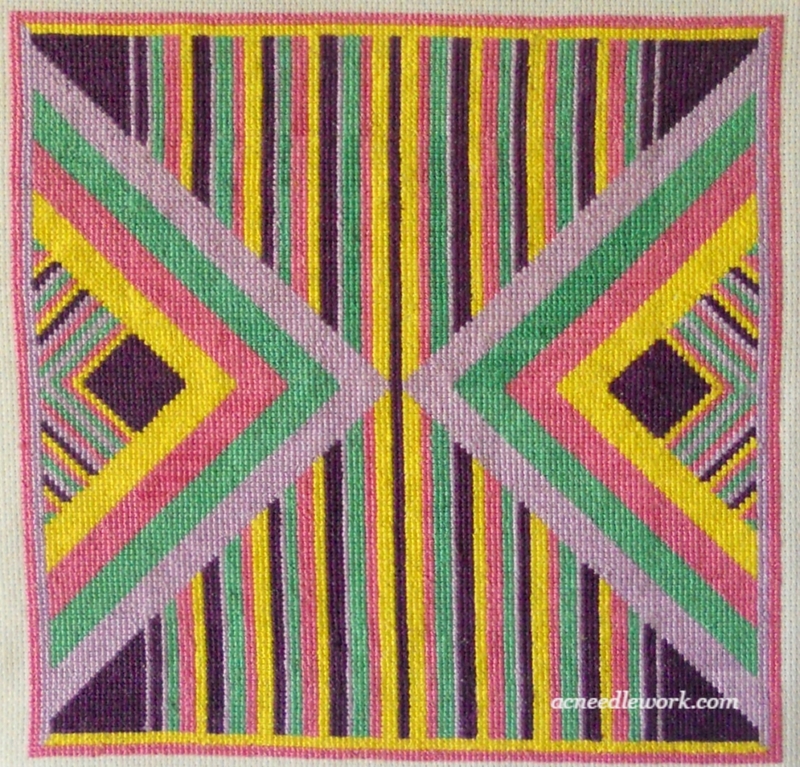 After I tell you where the inspiration for this Stripes and Triangle Quilt Block cross stitch design came from, you may see the connection too! Keep reading to get the connection! As I kept thinking about the candy, a cross stitch pattern appeared in my brain. After playing around with ideas on my computer, this is what emerged! As you see, I did include more colors than the three in the Neapolitan candy but the design in the center is still similar. The stripe theme is repeated in the triangles. I decided to call it Triangle and Stripes Quilt Block Counted Cross Stitch Pattern because I could see it becoming a quilt block. The design features two triangles buttressed together against a background of stripes. Whether you frame it, mount it on canvas for a modern look, make a pillow, or use as a quilt block, the vivid colors will brighten any room. If these colors don’t suit your decor, choose your own colorway as the pattern only uses five colors. It is a very versatile pattern. Need to use up your floss stash? This pattern is a perfect one for that. One pattern information sheet which includes a list of symbols, identification numbers and names of DMC floss used. Floss list is designed as an easy to use shopping list. The pattern packet will come to you as a downloadable PDF file. Please note that you will be receiving a pattern only. It is not a kit. I hope you will find this a fun project to stitch. It is easy and doesn’t require much counting once you get started. It is intended to be suitable for the beginning stitcher as well as more experienced ones. 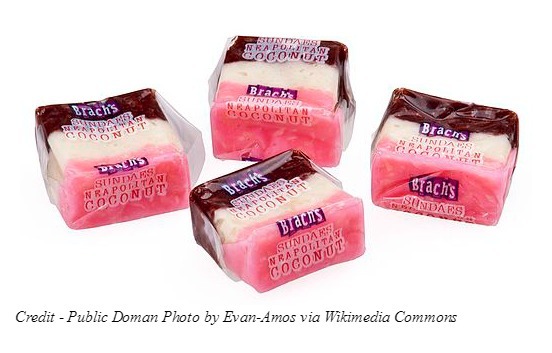 Maybe it won't bother your sweet tooth too much! What inspires your creativity? Why do you choose the cross stitch projects you work on? Tell us about it in the comments section below. I would love to hear your ideas. © 2017 Anne Cole. All Rights Reserved. 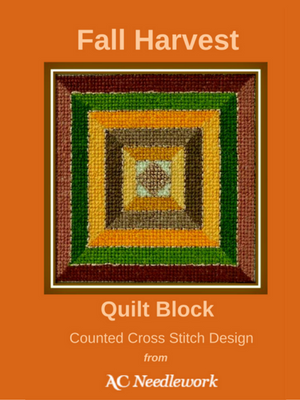 Do you enjoy cross stitching quilt block designs? 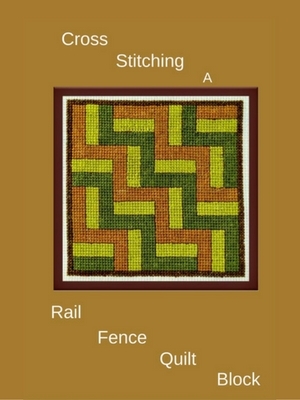 Find other designs in the Quilt Block Collection and the Free Pattern Gallery at AC Needlework!